Delicious fig and nut cake bars are full of energy and goodness. Great as a snack, breakfast, elevenses, lunch, after dinner, all of the above, any excuse to eat them really. Another put everything into the food processor recipe and with a short baking time too. Our boys LOVE them, so much so that they call them yummy cake bars. They really do taste like a decadent treat, rather than a healthy snack. What a bonus! Start by turning on the oven to 180 (not fan assisted). Find a baking tray with sides, (mine measured 18x26cm) coat lightly with butter or cooking spray. Now simply put your flour, cereal, oats, walnuts, figs, dry milk, ground cinnamon and honey into your food processor, blend to a thick paste. Now add the eggs and blend a little more until the mix is all combined together. 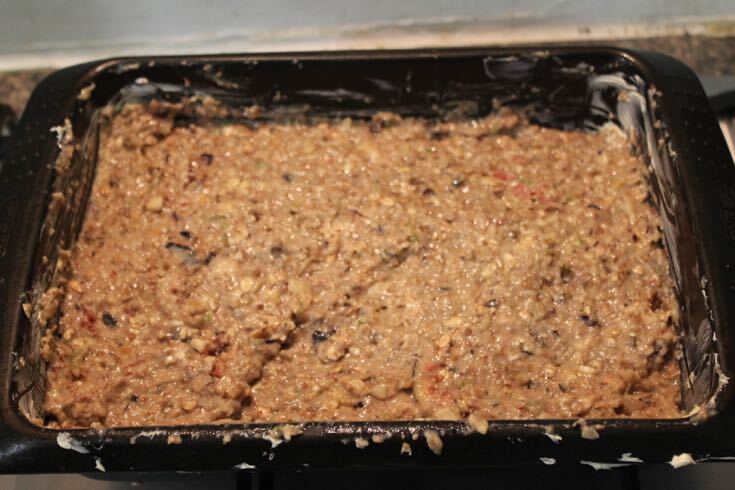 The mixture should transfer to the pan and spread evenly. Place into the centre of the oven and bake until there is some browning on the edges and top. Check after 20 minutes and leave longer if not lightly browned. Remove and leave out to cool for 15 minutes, then cut into bars. Enjoy, the flavours will develop if you can wait for a day. A delicious bar packed full of energy! A great way to get your kids to eat a healthy and nutritious snack. Thanks, the fresh figs here were the reason we made these bars. Although our figs are nearly all gone now. The really delicious figs with the jammy centres were here in July/ Aug. Figs are in the shops still. Ooooooo these look good think I might knock up a batch for after school snacks !!! Exactly! ‘knock up a batch’ I like it. 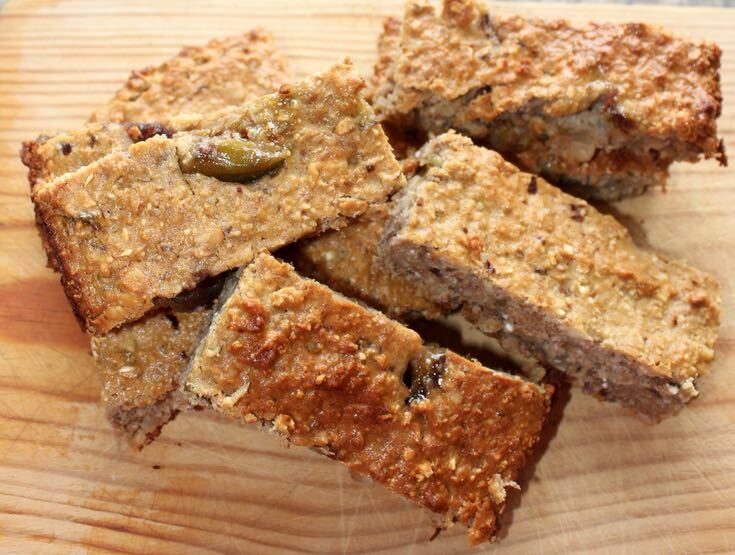 I’ve been looking everywhere for a good recipe for some energy bars… I am going to give these a go, they look delicious. Ooo i could def do with some energy! I love figs and nuts but im a weirdo who only likes nuts on their own ad not in food!! Thanks, this is a good recipe to have in your bag.